Origami skills can sometimes come in handy in the kitchen. 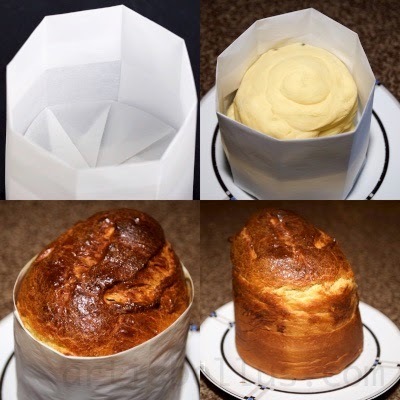 For example, like this variation of an octagonal box designed by Tomoko Fuse, that I used as a panettone (or "Pan Dulce") mold. The instructions to fold for the octagonal box can be found in the book Origami Boxes from a Single Sheet, ISBN 4480872035, page 58. In the original instructions the paper was divided into 9 sections, with one overlapped section. Instead, to make the mold sturdier, I divided the paper into 12 sections, cut one off, and overlapped 3 sections. As you can see in the picture above, the mold did the job very well and did not unfold at all. I also modified the height of the box to get a mold of about 5" (125 mm) tall. I used a 30" x 15" (750 mm x 375 mm) rectangle of Reynolds Genuine Non-Stick Parchment Paper (27½" x 15" after I cut one section), which, by the way, it's a very nice paper for folding. What's your favorite reindeer? Is it Dasher, Dancer, Prancer, Vixen, Comet, Cupid, Donner, or Blitzen? Or is it Rudolph? 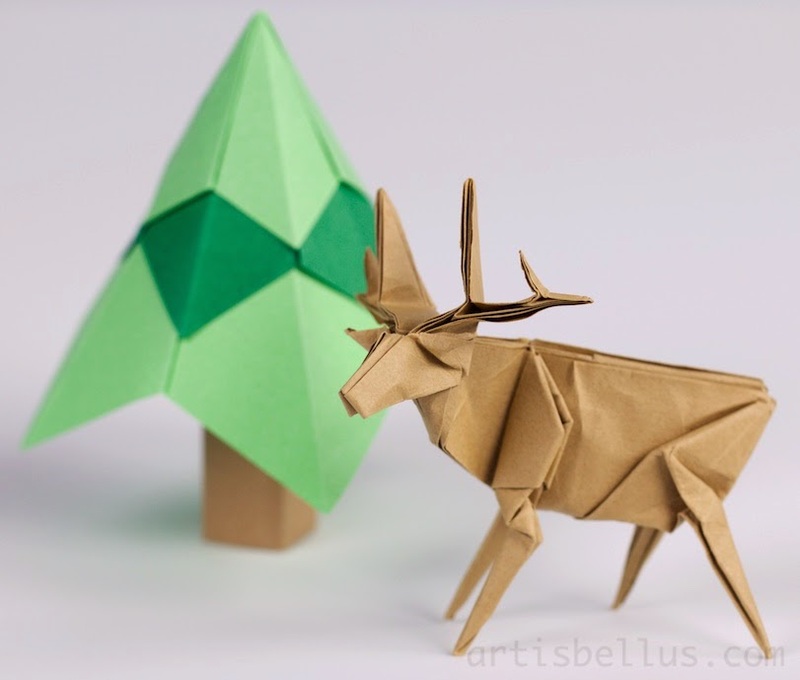 The reindeer was designed by Jun Maekawa. 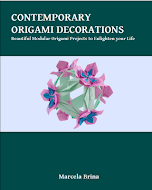 The diagrams are available in his book Genuine Japanese Origami, Book 1 . I folded the reindeer with an "A" (1: √2) proportion rectangle, that I cut from a 14" (350 mm) square of tant paper. The tree was designed by Tomoko Fuse. The diagrams are available in her book, 12 Months in a Small Box - Autumn Winter, ISBN 4480873406. 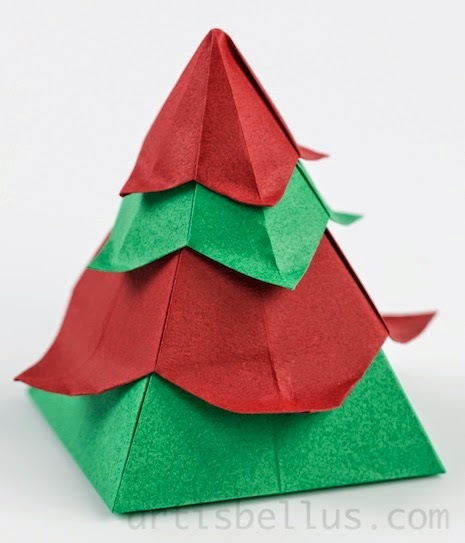 I folded the tree two 6" (150 mm), one 4" (100 mm) and one 3" (75 mm) squares of tant paper of tant paper. Christmas is so close...! 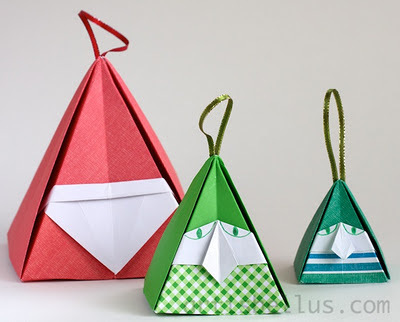 This Christmas Tree Box is very easy to fold and will be perfect to contain small presents. The book shows how to fold the base and the lid of the box (pages 22 & 24). 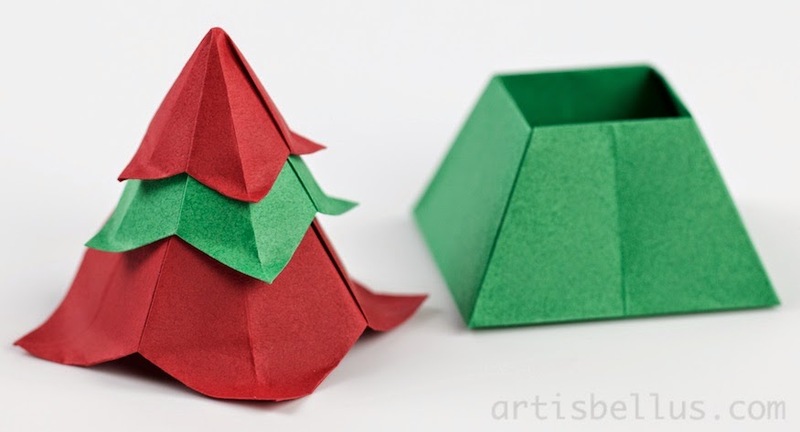 To obtain a more "tree like" box, you just need to fold two more lids with smaller paper, and stack them on top of each other. I folded the box with tant paper, a 6" (150 mm) square for the base, and 6" (150 mm), 4" (100 mm) and 3" (75 mm) squares for the lid.